Picked up my new Zesty 514 today, wanted the 714 but it was out across the UK in my size and the right price. Not disappointed though as it's a sweet bike and my first full susser. Put it with the others in the stable. Just need something in Titanium to finish the collection off - maybe next year. Looking forward to weekend to get out for first full ride. Can't believe there's over 20 years between these two! Nice, I really like their bikes they look smart and get great reviews. It's interesting to see how geometry has changed over the years...the Pace looks teeny and so steep (but very lovely) in comparison. 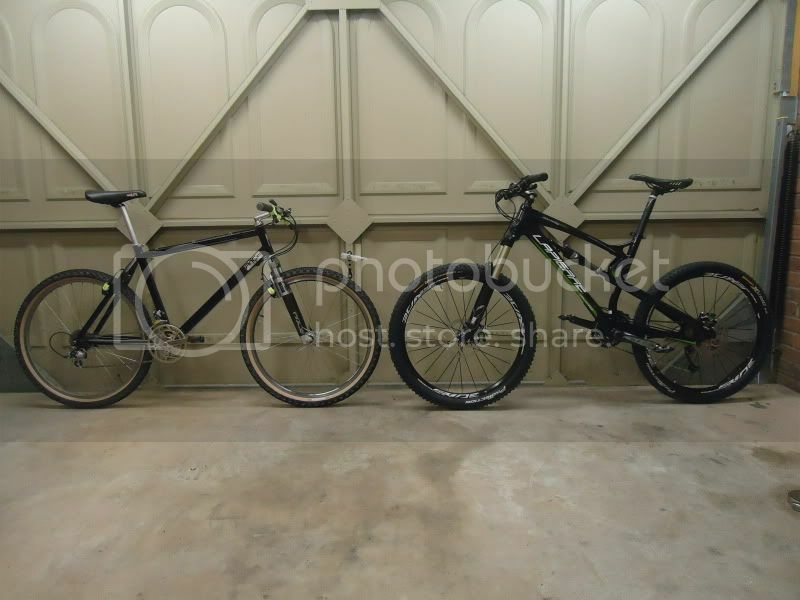 I have an old Cannondale with RC35's on it, and they look so tiny compared to my Fox 36's.